Our honeycomb of brilliance, minimal space between each diamond for maximum scintillation, a beautiful anniversary or right hand ring. 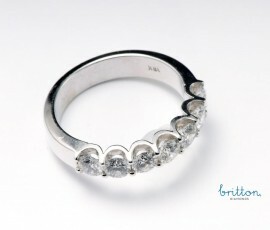 Diamonds available from 0.05ct each to 0.15ct each. 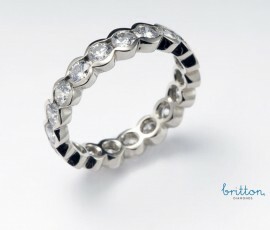 Pave set eternity band with diamonds on top and one side, leaving the opposite side high polish to sit flush against the engagement ring an extra touch to enjoy for the rest of your life. 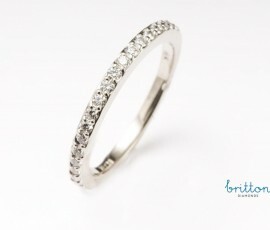 Please note this ring can be produced with diamonds half way around the ring as well, please call for further consultation, Diamonds available from 0.01ct each to 0.05ct each. 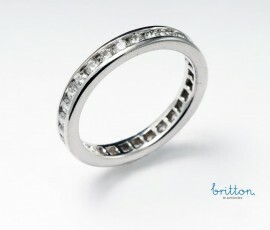 All rings can be made with diamonds all around (eternity ring) or with diamonds halfway around. 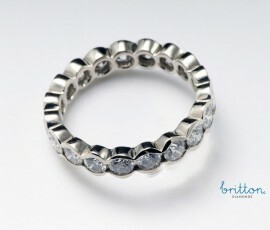 A channel set eternity band, diamonds floating between two clean elegant lines of white gold. 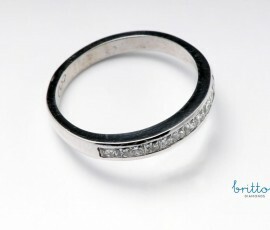 Please note this ring can be produced with diamonds half way around the ring as well, please call for further consultation. 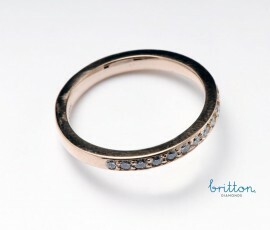 Diamonds available from 0.015ct each to 0.06ct each. 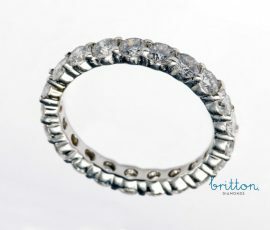 A shared claw eternity band, each diamond sharing a claw with each other, allowing the beauty of the entire diamond on display. 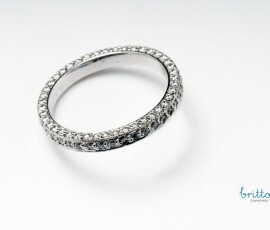 This ring can be produced with diamonds half way around the ring, please call for further details. 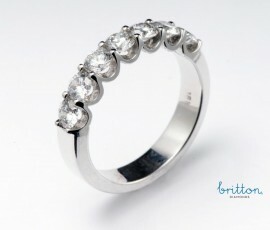 Diamonds available from 0.03ct each to 0.20ct each. 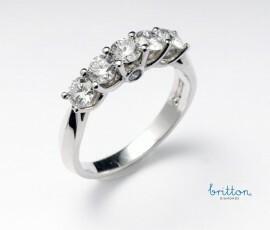 A classic channel set anniversary ring for an active life style, no claws to catch, but a symbol of ever lasting love. 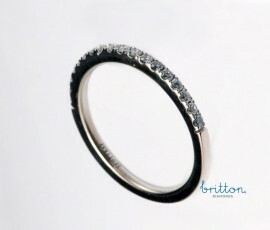 Please note this ring can be produced with diamonds all the way around the ring as well, please call for further consultation, Diamonds available from 0.10ct each to 0.20ct each. 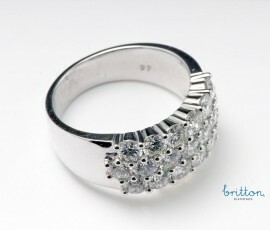 A setting style that encompasses pave, micro pave and shared claw all in one. 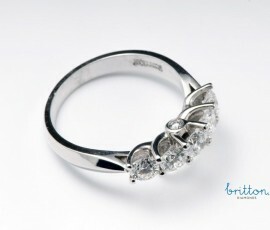 Please note this ring can be produced with diamonds all the way around the ring as well, please call for further consultation. 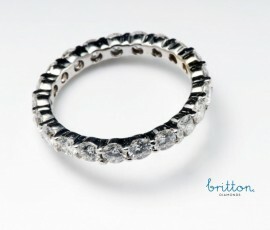 A half bezel eternity showing the feminine curves of each diamond a ring for the active life style. 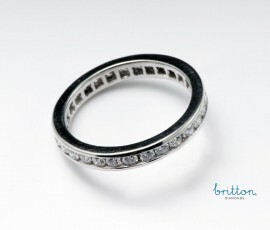 Please note this ring can be produced with diamonds half way around the ring as well, please call for further consultation. 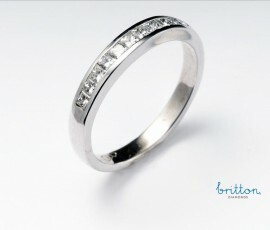 A channel set band, princess cut diamonds floating between two clean elegant lines of white gold. Please note this ring can be produced eternity style with diamonds all the way around the ring as well, please call for further consultation. 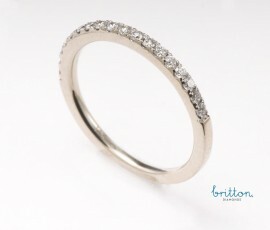 A micro pave set fine delicate band, beautiful on it’s own but not taking away from the engagement ring. 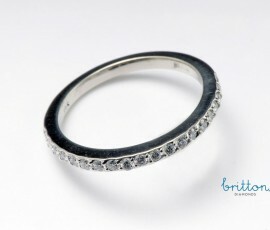 Please note this ring can be produced with diamonds all the way around the ring as well, please call for further consultation. Our shared claw anniversary ring with a open u-shape profile showing off the diamonds entire beauty, the feminine round shape of each diamond held by fine delicate claws. Please note this ring can be produced with diamonds all the way around the ring as well, please call for further consultation. The shared claw anniversary ring with a gorgeous side profile, a dainty bezel set solitaire at the base of the center with flowing elongated prongs showing off the entire beauty of each diamond. 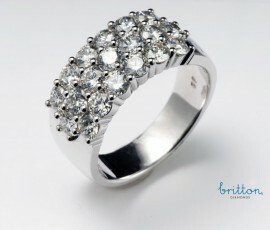 Diamonds available from 0.10ct each to 0.35ct each. 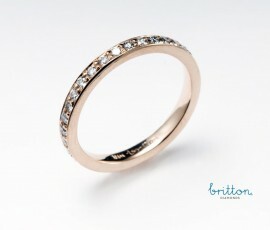 Our delicate Rose Gold pave set diamond band a perfect ring to stack between white gold bands of the same design. 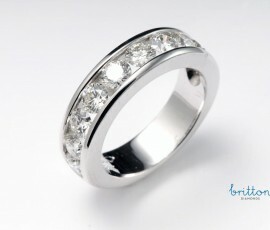 Please note this ring can be produced with diamonds all the way around the ring as well, please call for further consultation.